Interesting question, does she get a pith for sending herself on safari? (the honeymoon)? The ring is gone I can't find it anywhere! I sure hope you find it. I hope you find it in time, Lotta. If you try to think about what you were doing when you last saw it, that may help you track it down. So sorry to hear, lotta Hopefully it will turn up quickly. "I will never forgive you for what you have done to me and my family." It's there somewhere Lotta! Retrace your steps, I've found the TV controller in the fridge before. 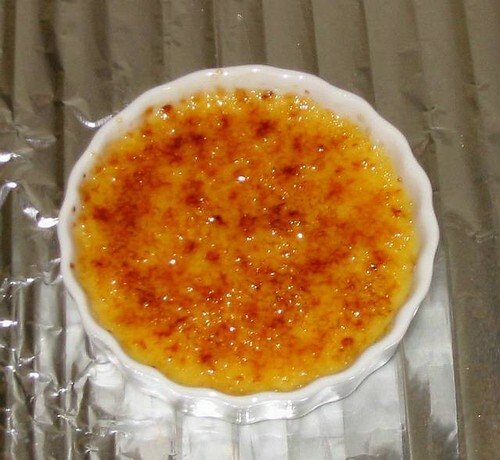 And as a desert selection, Crem Brulee! I went to a restroom once and took my ring off to wash, needed to put lotion on and did not want it in my ring, so I layed it on the sink. Did not notice til down the road, went back and there she was. I hope you are so lucky. yet is somehow still recognized by the courts. Then again, you now have someone to do the yardwork, you get lots of presents and you get to spend the rest of your life with the one you love. So I guess it all works out about even. Seriously, welcome to "the club" and Congratulations! And don't worry about the ring. As long as you still have the person you married, you're doing fine. The ring is an accessory. If a hubcap falls off your car, is it still your car? Is it still the same car it was yesterday? My point exactly! I often wondered what kind of marriage Tolkin lead, to come down so hard on one single ring. Well, the ring was never found We went ahead and used another, but I'm still really dissapointed that it's gone. I'm sorry to hear that too, but congrats and welcome back, married person. Sorry to hear it wasnt found Hopefully it will turn up. Hope the rest of the wedding went well. Sorry to hear about the ring, Lotta, but CONGRATS on the wedding! I wish you guys all the happiness in the world. BTW, tell the old man to check his PMs, would you?